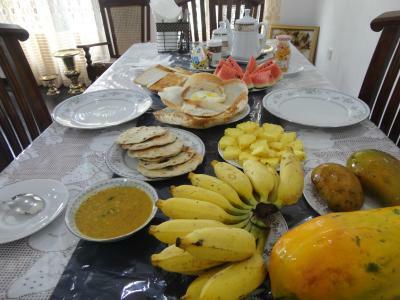 Lock in a great price for Sri 7 Homestay - rated 9.5 by recent guests. This is by far our favourite place in Sri Lanka. We actually felt sad to be leaving the Homestay so soon. The family are so welcoming and the made us feel very much at home. The breakfast was incredible!! It was so tasty and there was so much! We arrived at 5 a.m. and they got up for us to make our room, while they offered us tea. We really appreciated that, as we were very tired. They made everything to make us feel comfortable and we felt like home. Great breakfast. Definitely recommend it! Wonderful family, such warm welcome and genuine hospitality! A great chilled beautiful house with lots of space for yourselves (basically the whole second floor with large living room, kitchen, bathroom, terrace and bedroom). 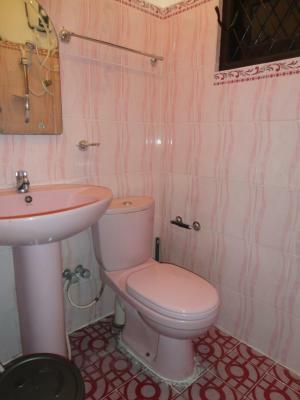 You have all the facilities you can wish for, including hot water. 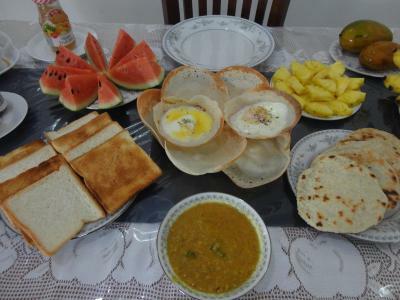 The breakfast was absolutely amazing Sri Lankan food. 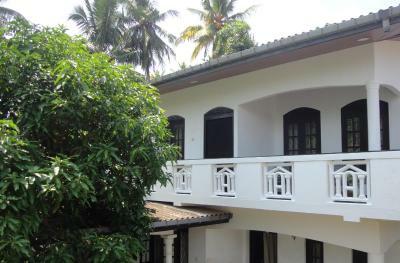 The house is in a quiet, green and upmarket residential area of the town, only a 10min tuktuk ride to the Dutch fort or bus/train station. We used the bus witch is not only very cheap but also a great way to experience the culture (you'll get all the details from the hosts). This was our last stop after a month in Sri Lanka and we had great hosts and experiences everywhere but this one was even more amazing! We are very grateful! the hosts are very, very friendly and do it with passion! they try hard to make your stay unforgettable. we really loved staying with them and would go back anytime! It was Fantastic families. I can recomandet for 100%. You will fill like home. Cleen and fresh. We are happyt to find this fantastic family and home. Urcite vemte toto toto ubytovani, je uzasne a rodina je skvela. Très bon accueil, jolie demeure, quartier calme et charmant. Les propriétaires sont très attentifs aux besoins des clients. Ils savent se rendre disponible pour répondre à la moindre demande. J'ai même eu la possibilité de participer à la préparation du petit déjeuner, avec échange de recettes ! L'étage de la maison étant destiné à la location, si vous venez en groupe ou en famille, en plus de la salle de bain et des deux chambres (quatre couchages), vous pourrez profiter d'une cuisine, d'une salle à manger ainsi que d'une terrasse avec coin salon ! Llevamos viajando por Sri Lanka 17 dias y podemos decir que este es el sitio en el que más a gusto nos hemos sentido a todos los niveles. La amabilidad y atención de los host es increíble. Son muy majos y desprenden muy buena energía. Las instalaciones son muy cómodas y amplias. La limpieza es de 10 y por si fuera poco, los desayunos son increíbles. Recomendamos este sitio al 100%, ya que nos hemos sentido como en casa. Невероятно добрые и отзывчивые люди, полюбила их как семью. Большие и вкусные завтраки, я даже не всегда ужинала после таких завтраков, все очень вкусное и свежее. Чисто, уютно, в ванной всегда есть горячая вода. Однажды меня угостили ужином в Шри-ланскийском стиле, это было очень приятно и неожиданно. Регулярно пополняют воду, в день приезда сделали приветственный чай. Есть кухонька, чайник, посуда. Ванная комната общая на две соседние комнаты, но это совершенно не мешало мне. Семья всегда готова помочь, ощущение, что живешь у родственников. Буду скучать по их гостеприимному дому. 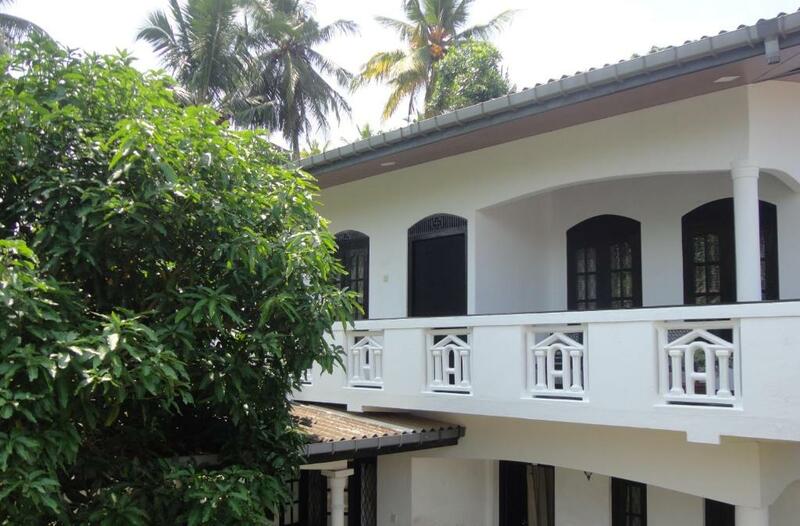 Set in Galle, 1.5 miles from Galle International Cricket Stadium, Sri 7 Homestay features accommodation with free WiFi and a garden. 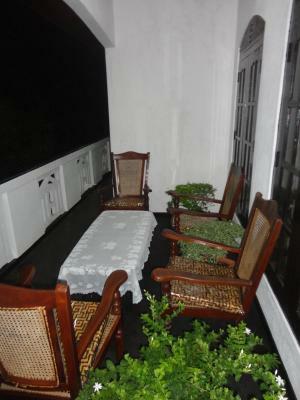 Sri 7 Homestay offers a terrace. 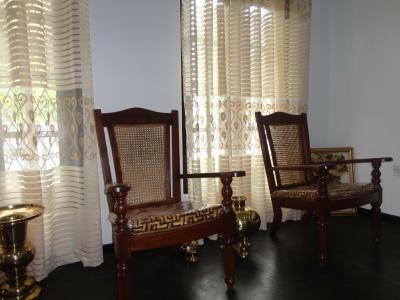 Dutch Church Galle is 1.8 miles from the accommodation, while Galle Fort is 1.9 miles from the property. 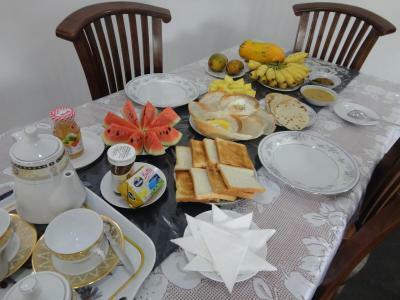 Sri 7 Homestay has been welcoming Booking.com guests since 5 Nov 2018. 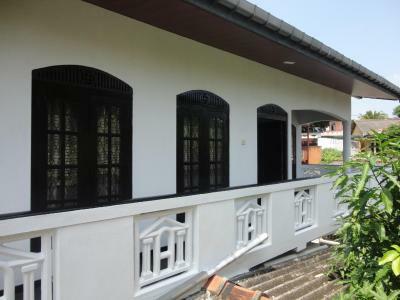 When would you like to stay at Sri 7 Homestay? 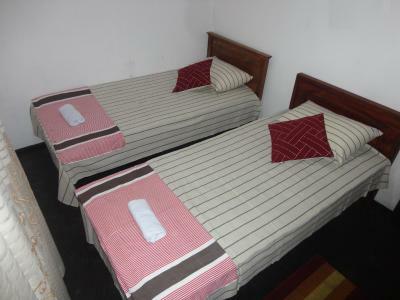 This double room has a private entrance, dining area and electric kettle. 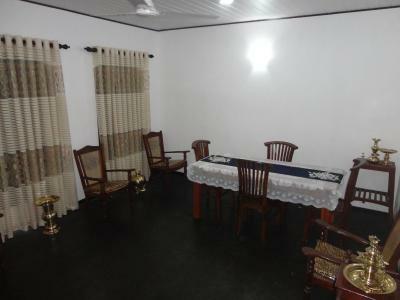 This twin room features a dining area, electric kettle and private entrance. House rules Sri 7 Homestay takes special requests - add in the next step! One of the most picturesque neighbourhoods in Galle! 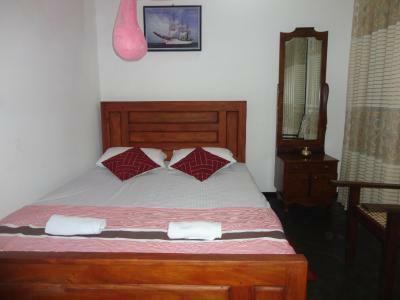 Was very hot in the room and it’s a bit far away from Galle fort but it didn’t bother us too much :-). Overall great value for the price you pay!